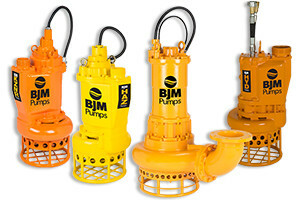 BJM Pumps was founded in 1983, and since then have created a unique product line for industrial, municipal, and dewatering services. 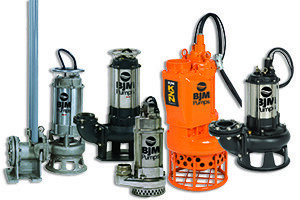 Offering a wide variety of submersible pumps, BJM has provided a wide variety of options for the most challenging pumping applications. BJM Pump maintains the highest quality of standards, and are continually improving their products through research and development. These submersible pumps range anywhere from 1/6 HP to 125 HP. BJM offers proven solutions for submersible pumps in tough to pump liquids such as: Sand, Sludge and Slurry applications. With numerous motor options and pumps available in hardened metal and high chrome, there is a pump to do the job. Some of the different models include: KZE Series – High capacity hard metal submersible slurry pump, HAZ Series – Cast iron MSHA approved slurry pump with built in agitator, KZN Series – Heavy duty submersible slurry pump, KZNR Series -Severe duty, high temperature slurry pumps and KZN-HYD Series – Hydraulic version of the KZN Series. BJM offers proven solutions for submersible pumps in tough to pump liquids in high temperature applications. With numerous motor options and pumps available in Stainless steel and cast iron there is a pump to do the job. Some of the different models include: JXF Series – Stainless Steel Dewatering Pumps, JXHF Series – Stainless Steel High Head Dewatering Pumps, SXF Series – Stainless Steel Solids Handling Pumps, SKXF Series – Stainless Steel Shredder Pumps, JF Series – Cast Iron Dewatering Pumps, JHF Series – Cast Iron High Head Dewatering Pumps, SF Series – Cast Iron Solids Handling Pumps, SKF Series – Cast Iron Shredder Pumps, SKGF Series – Cast Iron High Temperature/High Endurance Solids Handling Pumps, SVF Series – Cast Iron Non Clog Electric Submersible Solids Handling Pumps, KZNF Series – Cast Iron Heavy Duty Slurry Pumps and KZNRF Series – Cast Iron Severe Duty Slurry Pumps. 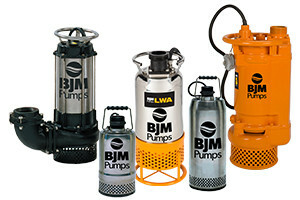 BJM offers proven solutions for submersible pumps in tough to pump liquids in corrosive applications. With numerous motor options and pumps available in Stainless steel for chemical resistance, transfer, dewatering and shredder applications, there is a pump to do the job. Some of the different models include: Perfecta Series – ideal for sumps and pumping dirty water, RX Series – top discharge 316 cast stainless steel pumps, JX Series – side discharge 316 stainless steel pumps, JXH Series – 316 Cast Stainless Steel High Head Pumps, SKX Series – 316 Cast Stainless Steel Pumps with Shredder Action Impellers and SX Series – 316 Stainless Steel Pumps with Non Clog Impellers. 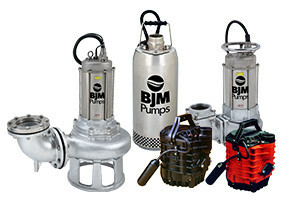 BJM offers proven solutions for submersible pumps in tough to pump liquids for Explosion Proof applications. These pumps FM Rated, Class 1, Division 1, Groups C & D hazardous location approved. 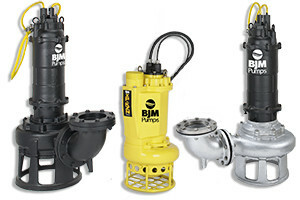 Some of the different models include: XP-KZN Series – Heavy duty explosion proof slurry pump, XP-SKX Series – 316 Cast Stainless Steel Submersible electric Shredder Pump, XP-JX Series – Corrosion Resistance Explosion Proof Submersible Pump and XP-SK Series – Explosion Proof Submersible Pump with Shredder Action Impellers. BJM offers proven solutions for submersible pumps in tough to pump liquids for solids handling applications. The solids handling pumps are designed to either shear debris before pumping, pass entire solids or pass effluent, dirty water with solids mixed in. Some of the different models include: SKG Series – RAD-AX Dual Shredding Pump, SK Series – Electric Submersible Pumps with Shredder Action, SV Series – Non Clog Electric Submersible Pump with Vortex Impellers and S Series – Electric Submersible Pumps with Single Vane Impellers. 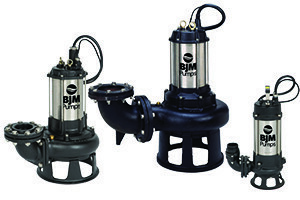 BJM offers proven solutions for submersible pumps for simple dewatering applications. The dewatering pumps are ideal for applications in construction, mining and sump applications. Some of the different models include: LWA Series – Submersible Light-Weight Agitator Dewatering Pumps, SK Series – Heavy Duty Dewater & capabilities for Light Slurry Applications, J Series – High Volume to High Head conversion capabilities, JH Series – High head effluent wastewater pumping, R Series – Top discharge dewatering pump ideal for mining or construction sights, and the Baby Series – 1500 GPH capabilities with up to 23 feet of head.